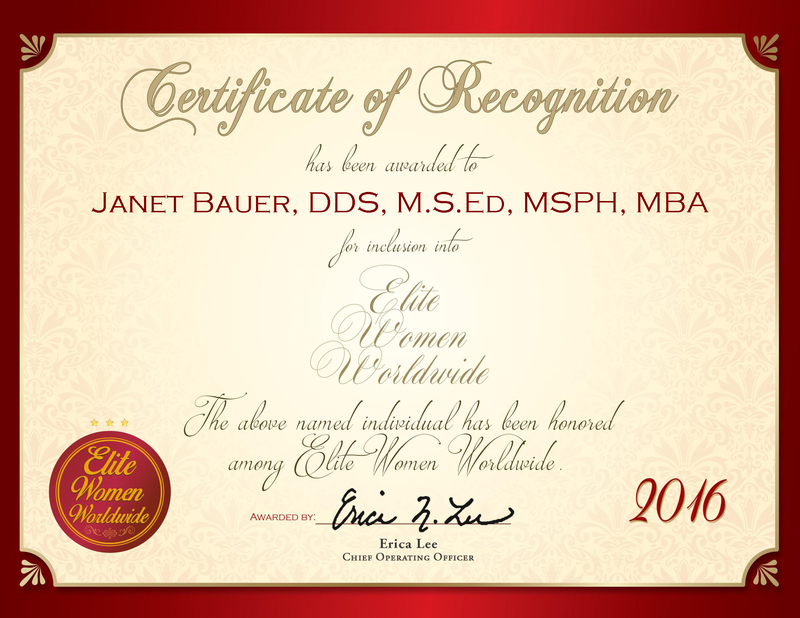 Lake Arrowhead, CA, January 20, 2016, Janet Bauer, Professor at Loma Linda University, has been recognized by Elite Women Worldwide for dedication, achievement and leadership in dentistry research. Nudged by a teacher in junior high, Dr. Bauer set out on a path to become a dentist. She earned a Bachelor of Arts in Zoology from the University of California, Los Angeles, in 1971, and a DDS from the University of Southern California in 1975. After she completed school, she began to practice dentistry with the intention of leaving the academic world behind. Before long, however, Dr. Bauer began to miss the academic environment, and began looking into research opportunities while still continuing to practice dentistry. A continual learner always looking for the best ways to deliver care, Dr. Bauer became involved with the geriatric population, and went on to patent a system to deliver evidence-based medicine to providers. This allowed her to follow her passion for sharing her knowledge and experience while providing great care to patients and leading tools to dentists. Dr. Bauer is currently involved in developing an evidence-based research and practice program, and assisting Dr. Sue Spackman in developing an oral health aging program. Since her appointment, she has worked at the Center of Dental Research in developing evidence-based program knowledge management systems, for which she holds one copyright from the U.S. Library of Congress, two copyrights pending, and one patent pending. Her current research involves creating the LLU Clinical Practice Guideline Mapping project. Dr. Bauer’s biggest accomplishment is the passion she sees from those she has helped, mentored and taught. 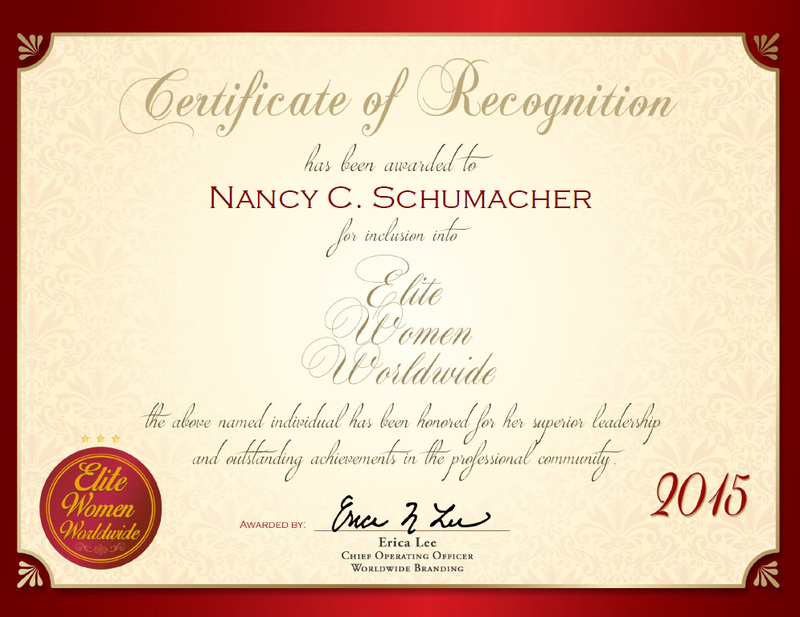 In addition to her medical training, Dr. Bauer earned a Master of Science in education and a certificate in medical education from the University of Southern California in 1979. In 1988, she earned a Master of Science in public health from the UCLA School of Public Health, and in 1990, she earned a certificate in geriatric medicine and dentistry from the U.S. Bureau of Health Professionals Multicampus Program in Geriatric Medicine & Gerontology, VAMC at Sepulveda and WLA. Dr. Bauer completed her educational endeavors in 1997 with an MBA in health administration in aging from the University of Judaism.